What’s The Best S&P 500 ETF? From Jill Mislinski: The S&P 500 index is arguably the most well-known worldwide. It is based on the market cap of the 500 largest companies in the U.S. The first-ever ETF, introduced in 1989, hoped to mimic the index, but was short-lived due to a lawsuit. 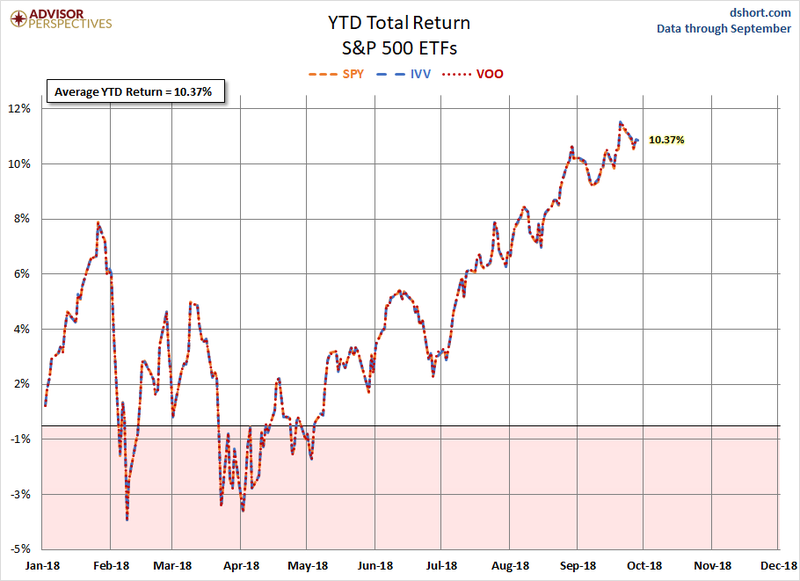 Several S&P 500 ETFs have been brought to market since, and we show their performance, as well as the tracking error relative to the S&P 500 Total Return Index (which assumes reinvestment of dividends). 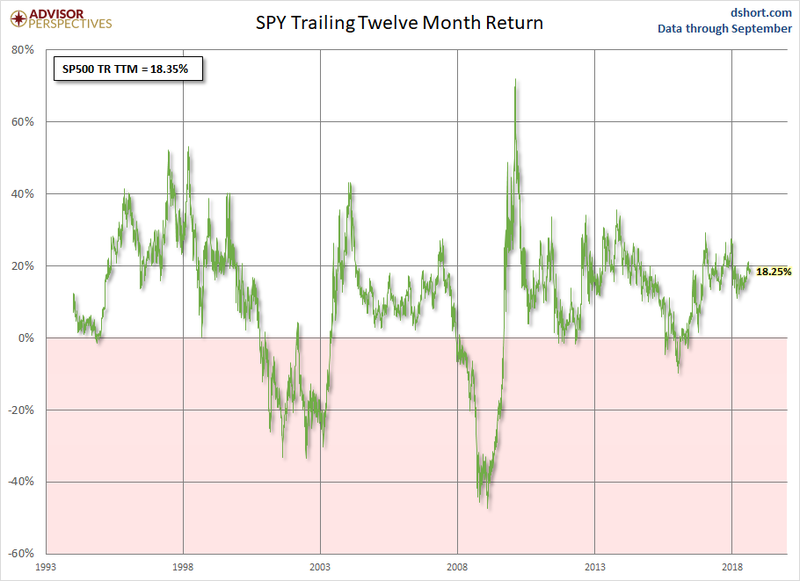 Here is the YTD return for all three including their average, now at 10.37% – note the close tracking, as expected. Check back in early January 2019 for the Q4 2018 and December month-end update. The iShares S&P 500 Index ETF (IVV) fell $0.65 (-0.22%) in premarket trading Monday. Year-to-date, IVV has gained 8.33%.